We’ve got to figure out what our aims are in Afghanistan before we talk strategy. The "strategic" debate over Afghanistan is a diversion that serves chiefly to distract attention from the condition of strategic bankruptcy that President Obama inherited. The issues in Afghanistan do not qualify as strategic. They barely rise to the level of operational. To the extent that the war in Afghanistan can claim to have any purpose, that purpose derives from its relationship to the larger struggle variously called the global war on terror or World War IV or the Long War. To the extent that it ever made sense for U.S. forces to be fighting in Afghanistan, the rationale derived from the belief that Central Asia figured, however vaguely, as a campaign in that larger war. When the Bush administration conceived that larger struggle, Bush and his immediate circle of advisers did articulate a strategy of sorts: Through the concerted use of American power, they intended to transform the Greater Middle East thereby eliminating the conditions that had given rise to 9/11 and preventing its recurrence. Except in the eyes of a remnant of neoconservatives, that effort has definitively failed. The result of that failure is a strategic void: Today, the United States doesn't have a meaningful plan to deal with the threat posed by violent jihadism. As a result, the remnants of World War IV--both Iraq and Afghanistan--are strategically meaningless. They form parts of a whole that events have rendered obsolete. This is the 800-pound elephant that Steve Biddle and other proponents of global counterinsurgency want us all to avoid noticing. Let's assume the best. Let's assume that after five to ten years of additional effort, the expenditure of several hundred billion more dollars, and the loss of at least several hundred more American lives, something like the McChrystal plan "works." What will the United States have gained? Will we have driven a stake through the heart of violent jihadism? Will we have even reduced the jihadist threat appreciably? To answer any of those questions in the affirmative, you have to believe that Afghanistan is jihad central. But it's not. We could convert Afghanistan into a Central Asian version of Disney World and violent Islamic radicalism would persist unabated in various quarters of the world--probably including major cities in the West. The threat is a transnational one and is not subject to elimination no matter how energetically we pursue armed nation-building campaigns in far-off places. Indeed, it's at least as plausible to argue that persisting in the effort to pacify Afghanistan will further incite, rather than reduce, jihadist opposition worldwide. To what end? Given the amount of money that counterinsurgency enthusiasts are keen to spend in Afghanistan and the number of lives that will be consumed in the process, they ought to provide a very clear answer to that question. They won't, however, because to do so is to acknowledge that permanent war has become the de facto policy of the United States--even as it has become apparent that war does not provide a plausible antidote to the problems facing the United States. 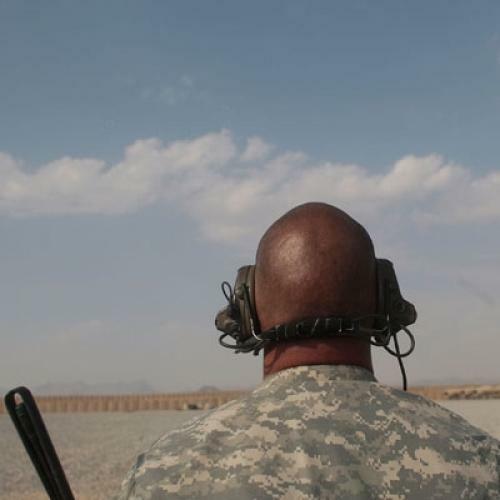 Click here to read Michael A. Cohen suggest that there are more options for how to fight in Afghanistan than Biddle acknowledges.